“A dress silhouette for all body shapes. No matter where your curves are, we’ve got you covered! We have developed a new and luxury construction which supports and enhances right where it is needed – we have lengthened boning over on the waist line to give the ultimate waist cinch. 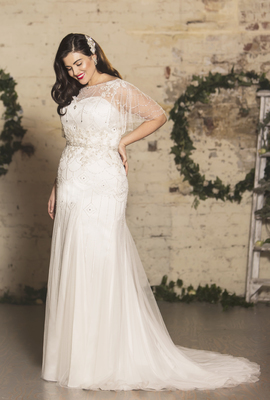 To see the full collection, True Curves will be exhibiting at The Harrogate Bridal Show, 9-11 September 2018, Stand A22.